We aim to create memorable and distinctive design solutions with an emphasis on typography, branding, and publishing. David Preston Studio has been in operation since early 2009 when David and Tamsin Preston set out to establish a small independent consultancy to service clients in the arts and cultural sector. Since then we have been busy working with a range of prestigious clients, from Universal Music, to the National Trust. 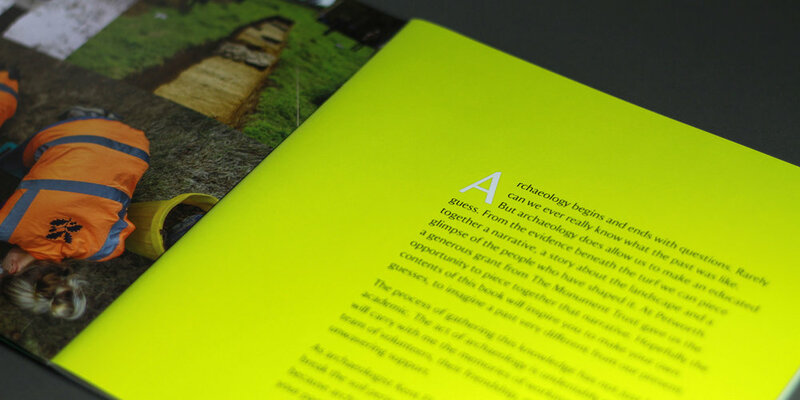 At the heart of our work lies a passion and expertise for information design and typography. We work across print and digital applications, focussing mainly on branding and publishing collateral. With each new project we take a user-centred approach that prioritises the audience and puts principles of usability and clarity at the heart of the creative process. We met while working together on the award-winning BBC News website as a part of the BBC News Interactive team based in Television Centre, London. Having gained valuable experience working as a part of a large digital communication team we went on to gain further experience with various design agencies around London, both large and small. While Tamsin cut her teeth working with industry leading brand and retail consultancies including Fitch and The One Off, David worked predominantly with smaller boutique agencies specialising in the lifestyle and luxury brand sectors. David worked with us on the design for Petworth’s 2017 winter exhibition catalogue. We had a fairly tight timeline, which David worked well within, maintaining good communication with prompt response times throughout. It was a pleasure to work on this project with David; he was personable, professional and extremely accommodating.